I have previously examined the relationships between the giant con-ag industries and education policies, illustrating comparisons between factory farms and education as in a chapter in J. Bowers and PL Thomas (eds) De-testing and De-grading Schools. I have blogged previously about how multinational corporations like Nestle are destroying water supplies in economically struggling and impoverished countries, buying the “water rights,” and then selling people their own water back to them in a bottle and at a profit. What I intend to do here is create line item comparisons between what Alice Crites examines in the sugar wars and my own research on HOW CCSS came to be, WHY is came to be, and WHO it is that benefits from it. This is important– because as those of us opposed to CCSS move forward, we must be clear about the who, what and why of CCSS. Bill and Melinda Gates, Carnegie, Walton, Broad, GE, Exxon, and AT &T (all members of ALEC) all fund the non-profit groups promoting Common Core. In order to sway policy, corporations hide behind non-profits, foundations, and think tanks. Essentially these corporations buy their way into shaping policy and public opinion disguised as public interest groups, which of course promote the values and idea that the corporations want them to promote! Achieve-the organization contracted by the US Dept. of Education via Race to the Top was paid to create and manage common core. Achieve is funded by giant corporations, many who are members of The American Legislative Exchange Commission. Other non-profits such as Hope Street, Bellwether and Education Delivery Institute all have corporate members and corporate interests swaying their mission and actions. Line Item Two: The revolving door. The romance between big corporations and big federal government occurs because CEO’s prevsiously from giant corporations take positions as “policy makers” within the governement and conversely individuals previously serving in the federal government take new jobs or sit on cushy board of directors positions in these privately run corporations or “non profit” associations. For example, Bellwether, Hope Street, and Education Delivery Institute (EDI) all share partnerships (direct and indirect) with government by playing musical chairs between their government roles and their jobs in the private sector. Hope Street has among its Board of Directors former West Virginia Governor Bob Wise and Governor Jack Markall. Dr. Jeri Echeverria retired Executive Vice Chancellor for Academic Affairs in the Chancellor’s Office of the California State University sits on the board of directors for EDI (created by Pearson CEO Sir Michael Barber). Line Item Three: “No longer content to rely on traditional lobbyists, companies are investing in other messengers such as nonprofit groups or academicians who can provide expert testimony, shape news media coverage and change public opinion in ways that ultimately affect decisions in the nation’s capital.” (Crites). Lobbyists and paid- for- research. To sway public opinion through the guise of research, corporations (via think tanks) pay scholars and researchers to conduct studies which (not shockingly) will produce findings that support the interests of the corporate agenda. Their job is to create the illusion that their product (in this case Common Core) is grounded in research to support it. For example, in one particular issue of Education Researcher (the “premiere” journal published by AERA) I found that of nine total authors published in that issue, FIVE of them listed their associations not with universities but with “non- profit” or education corporations. And those five were all invested somehow in promoting Common Core. In this way they believe they can “legitimate” their agenda to other scholars and academic institutions. That same year, when PARCC and SBAC placed their bids in to the U.S. Dept of Education which, via RtTT, was seeking organizations to whom they could “outsource” their efforts (aka Common Core), Achieve had contracted with Pearson as their partner to pursue this effort. Pearson lobbied a minimum of thirty times between 2008 and 2012 for Elementary and Secondary Act (ESEA) or reauthorization of ESEA, including “preparation for reauthorization, advocated for quality student assessments, literacy programs, data systems, utilization of education technology, (and) electronic student records”; by far one of the largest portion of their lobbying efforts. In the sugar/corn wars the group is called “Citizens for Health.” In politics it’s called “Citizens United.” And in education it’s called “Parent Trigger.” What all these have in common is the illusion of being grass roots when in fact they’re front groups for billionaires like the Koch Brothers, Eli Broad, and the Walton Foundation. Line Item Five: Insider fighting. “The documents reveal how both sides poured money into nonprofit groups that have had feel-good names but promoted industry agendas in public campaigns and government proceedings.” (Crite). According to Crites, the sugar industry is at war with corn syrup. They spend billions trying to top one other in the market. But really…if you were worried about diet, health, diabetes or obesity, is the difference between sugar and corn syrup a serious game changer for you??? Either one in high doses spells trouble. Likewise, as states who are still interested in corporate model reform pretend to be the friend and ally of parents and teachers against Common Core claim that they reject federal intrusion into their state education policies. But they have created “their own” common core standards. Really? It’s high fructose corn syrup versus sugar. Is your state still pushing high stakes testing, teacher “accountability” via test scores, union bashing, merit pay, vouchers and charters? It’s no different than the sugar companies fighting with the big corn producers. PARCC, ACT, Pearson, McGraw-Hill, inBloom, and ALEC…they’re still just fighting for a piece of your child. One important digression here, let’s not forget that even opposition to CCSS can be motivated by corporate interests and we must remain informed. Many corporate funded think tanks and non-profits such as Heritage Foundation are opposed to CCSS but support other conservative measures to privatize public education, and Koch brothers, with an aim to eliminate public education altogether, have secretly funded many “grass roots” Common Core resistance groups. The identical nature of the predatory corporate ed reformers and those in sugar/corn war playbook IS NOT COINCIDENTAL! Common Core: It’s not communism. It’s predatory reform-style billionaire business as usual taken from the playbook of other areas of industry. It’s corporate greed and control. Repeat as necessary. Common Core is corporate led, and federally fed. By 2015, US Dept of Education will begin defunding the intitaive and it will wind up wholly in the hands of private organizations. Whether I like this truth or not is irrelevant. It’s a deliberate strategy used not only in the sugar wars and in education but by predatory reformers from across all areas of service and production housing/real estate, and banking. But they’ve laid waste to our land, and to our homes, and to our financial security. Education was just next on the list of line items. Profit. Data. Control. 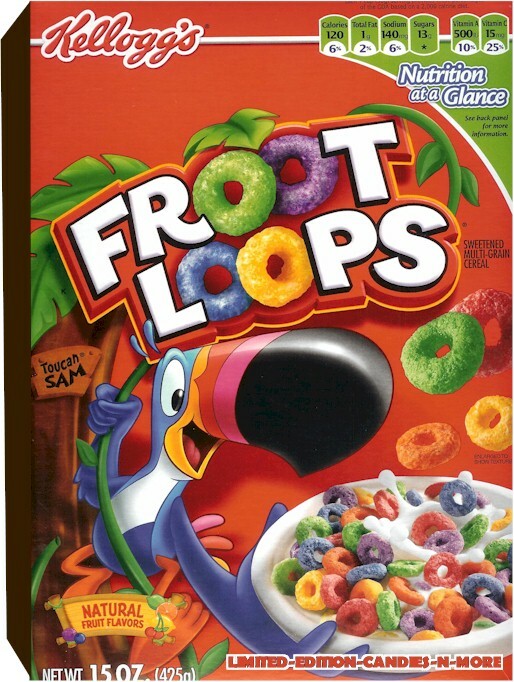 Fruit Loops cereal can claim its part of “a nutritious breakfast” because it’s made with “real fruit juice.” This is marketing. It’s sales. It’s advertising. It’s a product. As smart consumers we read the ingredients and know better. That’s fine. Free market. Free choice. Buyer beware. No one is forcing me to feed my child Fruit Loops. Yada yada. However–Common Core claims to be a “21st century learning effort” to make all children “career and college ready.” It’s marketing. It’s sales. It’s advertising. It’s a product … Being forced down the throat of my child. MANDATED. And we should know better.